More than 40 years after President Nixon declared the War on Cancer in 1971, we are losing that battle. 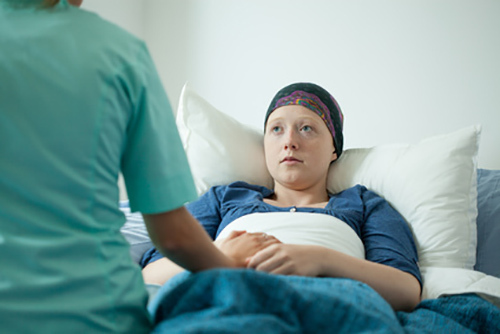 According to the American Cancer Society, 1.67 million new cancer cases will be diagnosed in the United States in 2014. About 586,000 Americans and six million people worldwide will die of cancer in 2014. Despite massive investments in treatment and prevention, cancer mortality among people under 85 in the United States has fallen a meager 8% since 1975. This has led many to wonder if our current strategy makes sense. As Einstein once said, insanity is doing the same thing over and over again and expecting different results. Will the “cure” for cancer come from more blockbuster drugs, or is the answer much simpler and now within our grasp? Spending on cancer therapeutics is massive, with worldwide sales of $85 billion in 2013,1 and multiple drugs with $100,000 plus price tags on the market. However, on average, only a quarter of patients respond to any particular treatment—that’s a dismal response rate, and few of those are actual cures.2 This feverish focus on cures has dominated the research since President Nixon declared war on the disease in 1971. But the results are disheartening at best. As shown in Figure 1, this approach has yielded meager results; as mentioned earlier, the overall cancer mortality rate in the United States for ages younger than 85 years has fallen by a meager 8% since 1975. Heart disease deaths by comparison have dropped a whopping 60% or so—many times more than cancer deaths.